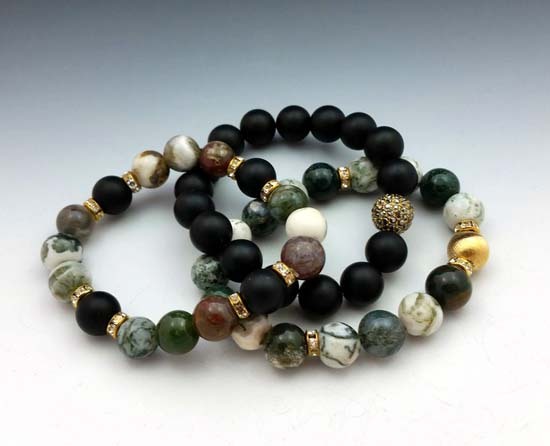 Inspired by nature’s offerings with its many colors and textures, Deborah finds unique and beautiful gemstones and freshwater pearls from all over the world to create her one of a kind and limited edition jewelry. Sterling silver, 14kt gold-fill, copper, brass and/or bronze metals accentuate the beauty of each piece. In addition to these, Deborah has begun to add vintage elements and hand fabricated pieces to her collection. 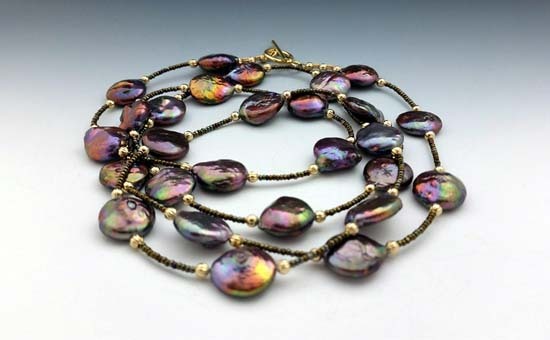 Techniques used to create her work include knotting, wirework, stringing, metalsmithing and bead weaving. Her jewelry has been described as classic with a twist and is enjoyed by women of all ages. In addition to her participation in numerous juried arts festivals, Deborah’s jewelry is on exhibit and for sale in several art galleries and boutiques in the greater Boston area and by appointment in her studio in Boston’s South End Arts and Design District. 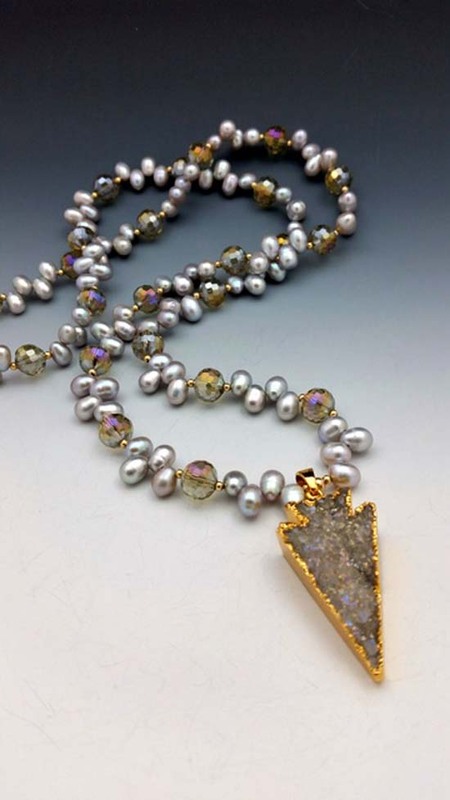 Inspired by color and texture, I use the highest quality semiprecious gemstones and freshwater pearls with 14kt goldfill, sterling silver, brass and bronze. In recent years, I have also found beautiful and unique vintage elements to add to the collection. These can include vintage pearls, crystals from vintage chandeliers, and other glass and metals. Techniques used to create my pieces include knotting, wire wrapping, stringing and hand fabrication. Each piece is one of a kind or a limited edition, classic and contemporary, and worn by women of all ages.